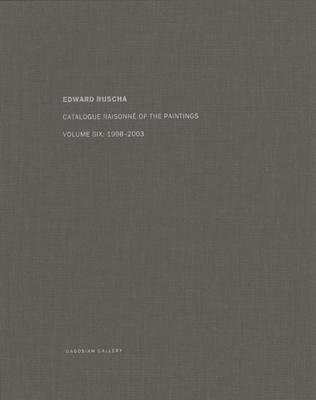 This sixth volume of Edward Ruscha: Catalogue Raisonn of the Paintings documents the 227 paintings and studies for paintings made between 1998 and 2003. Though a number of these works refer in some degree to Ruscha's output of the past two decades, the period inaugurates two major series--the Metro Plots, which diagram streets in Los Angeles and American cities, and the celebrated Mountain paintings. A third series, loosely grouped, takes books as its subject. This period is also notable for the appearance of the first of the Course of Empire paintings, with which the artist would represent the United States at the 51st Venice Biennale in 2005. As in previous volumes, included are numerous documentary photographs, a selection of Ruscha's sketchbook pages and complete bibliographic references and exhibition histories.